Beirut is not the normal holiday destination that springs to mind when considering where to take a two week break, but it turns out Lebanon is a pretty cool place. 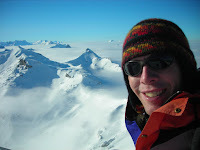 Certainly the people are friendly, completely hospitable, helpful and generous, so much so that hitch hiking is a breeze. Even though most of the devastation of the 1980's era civil war has now been carefully restored or completely reconstructed, it is hard to shake the standard image of the country as a war zone. Admittedly the Israelis do seem to have a habit of visiting by force in the south from time to time, and Hizbola is the dominant political party in many parts of the country, but it really is very peaceful and safe for travellers now. The mission here consists of three sets of staff. There are the expats; running around organising things. There are the inpats; Ethiopian medical staff and translators who have been recruited to help and moved here from other parts of the country, we have about ten here now. And then there are the local local staff from Wamura; the guards and cooks and cleaners; the numbers keep changing but I think we've employed about 60 now. Every now and then something just corners you out of the blue. For me here it was a normal midweek afternoon soon after I arrived. I was alone at our base at the Wamura health centre, busy organising things, with the medical team all off in an outlying village doing their screening, admission and treatment program. The first of the 10 truck convoys had arrived, been unloaded and left the evening before, which I guess would have been talk of town and a front page advertisement for our program. I noticed more mothers and babies hanging around mid morning than usual. By midday when I walked out of the office, I was greeted with fifty or sixty children, with fifty or sixty mothers eyes on me. 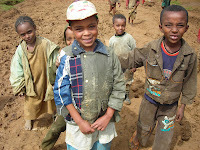 It's the wet season here in Ethiopia and the rain comes and goes each day with alarming regularity. Even if the morning dawns fine and still, by the afternoon the heavy rain can make doing anything pretty much impossible. Still, it certainly give me time to catch up on the office administration. 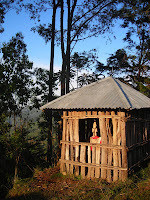 For a couple of mornings we awoke to sound of rain and collectively all rolled over and went back to sleep. When I first heard of the mission here and the phrase 'nutritional emergency', I cynically thought it another phrase like IDP (internally displaced person) which has largely replaced 'refugee'. 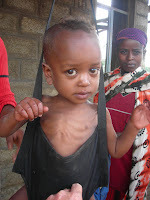 An IDP is a refugee in in their own country, whereas a 'real' refugee finds themselves displaced into another country. Either way they are refugees to the layperson. So a nutritional emergency must be a famine I thought, not enough to eat, so supply some food, then head for home for a spa. 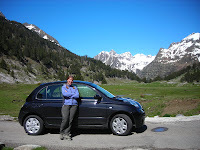 Once in Spain I met up with a good friend Lisa for a one week tour of the Pyrenees. We started in Barcelona and worked our way westward. On the way we discovered the (for us) unheard of country, Andorra. Quite amazing to randomly ‘discover’ a country in the middle of Europe? Guess that there might be a few more surprises lurking around the place. We walked and explored and even climbed in the soft slushy spring snow. Ended up at the top of a wonderful hill and look forward to returning for more peak bagging one day. The whole mountain range from coast to coast looks like it is filled with all sorts of interesting corners, peaks, huts and viewpoints. It is very much like the NZ alps, with mountains about the same size, trails, and (in June) not many people at all. Heading now for a weekend in Paris and then back down to Bordeaux for an MSF logistics training course. The Mediterranean Sea separates Europe from Africa, with the closest point being between the two sides of the Straights of Gibraltar. On one side to the north are the very rich, developed nations of the west, with their huge economic and military power. On the other side to the south, separated by only a matter of kilometres lies Africa, with its poverty, underdevelopment, war, famine and disease. While in other places it is possible to be struck by the culture shock of flying from a modern built up city such as Paris, to the simple depths of despair in a dessert town of Darfur over the course of a few days, here is the place where the difference between worlds is simply a two hour boat ride. Are you worried that you are losing your curves? Put on your favourite jeans on a Saturday night out on the town only to find them a bit baggy? Have had your significant other mutter something about eating a little more to fill out a bit? Maybe what you need is padded underwear. Now available from all good outdoor crazy markets in the backstreets of Dakar, just look alongside the wigs, printed t-shirts with spelling mistakes, extremely low lifespan jandals, and mass produced other junk. I've been working for the last few weeks, and will be for the coming months, for a little organisation called 'Anti Poverty Initiative' (API) which provides micro credit for woman in Dakar. It was started by an American ex Methodist missionary who has been living in Dakar for many years. They needed help with setting up a new computer accounting system and various other tasks and so I am getting some good experience in the field of micro credit. Micro credit is simply loaning small amounts of money to people with no security, effectively filling the gap below which normal banks and financial institutions operate. It came to major prominence recently when Muhammad Yunus, who funded the Grameen Bank in Bangadish, was awarded the 2006 Nobel Peace Prize. The loan money enables women, who are more trustworthy with repayment and usually provide benefits for the whole family, to start and run small businesses. 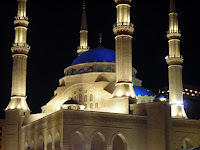 During the past week the city of Dakar has been hosting a meeting of the Organisation of the Islamic Conference (OIC). This has resulted in many cancellations, reorganisation of traffic, and general disruption to the city, as the leaders of 56 nations all arrived for the gathering. It turns out that many of the major infrastructure projects around Dakar were begun in expectation of this event, but unfortunately only a handful of them seem to have been completed. On the positive side the western coastal road was finished in the nick of time, on the negative side two large hotels are still only shells under construction. To cover the resulting shortage of accommodation a huge Italian cruise ship appeared at the port, appearing to outdo all the shore based hotels. 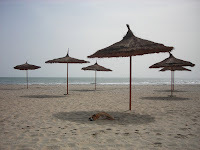 The beaches of Senegal stretch to the south of Dakar and vary from highly developed tourist resorts to small little fishing villages. We have been spending the last few weekends exploring a few of them and the surrounding countryside. The heat of the sun in the middle of the day is so great that for me the only too options are hiding in the shade or complete immersion in the sea. A nearby park known as Bandia Reserve provided some great photo opportunities with many large animals including rhino, giraffe, and antelope. Most of them are actually from South Africa, and the park is so small it could be called a very large zoo, but certainly well worth a visit if wanting to see such large beasts up close and in the open. We even managed to do it very cheaply by meeting some other helpful French woman who were able to include us in their hired car for the morning.